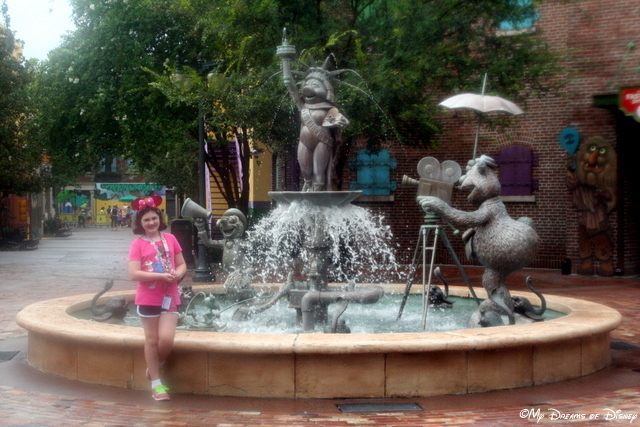 Updated Favorite Disney Hollywood Studios Attractions! No longer here, but still a favorite to me! Hello everyone, and thank you for stopping by today! Nearly four years ago, we ran a post about our favorite attractions at Disney’s Hollywood Studios — and today, with all of the changes that are under way at the park, we decided it was time for an update! 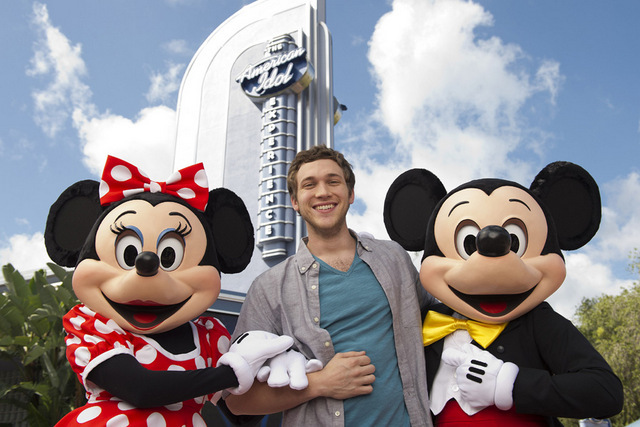 So, without further ado, here is our updated favorite Hollywood Studios attractions! 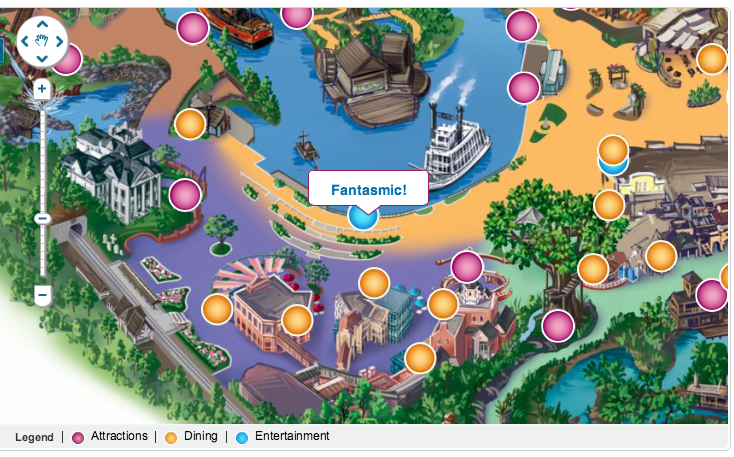 Keep in mind, I don’t have Fantasmic listed because I think of that as a show, not as an attraction. Personally, while I haven’t seen Fantasmic at Walt Disney World, I have seen it at Disneyland, and it is at the top of all sorts of lists in my book! 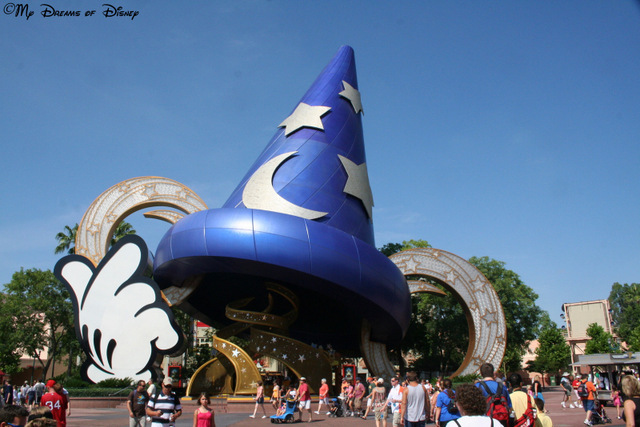 Updated Top 5 Disney’s Hollywood Studios Attractions! 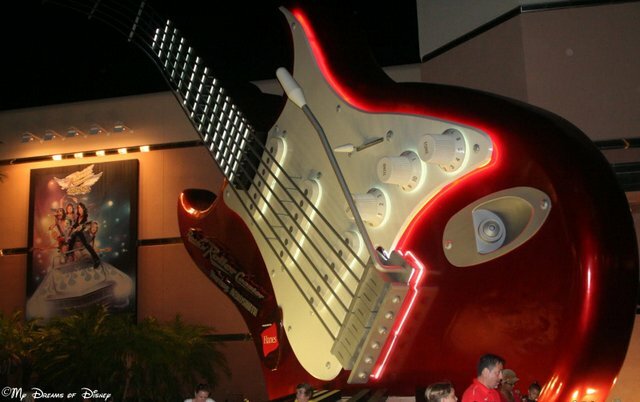 Coming in at number one on our list — the Rock ‘n’ Roller Coaster Starring Aerosmith attraction. This is one of my favorite roller coasters in all of Disney, and at Hollywood Studios, it is a must ride attraction for me every time! About the only thing I wish was different about it is the length — at just 1:22 of actual roller coaster time, that’s not very long at all! The pre-show length is 3:12. Before this attraction was redone, it wasn’t even a blip on my radar. But with the way that they redid the attraction and re-opened it on May 20, 2011, this attraction shot up my wow factor, landing here at number two on the list. 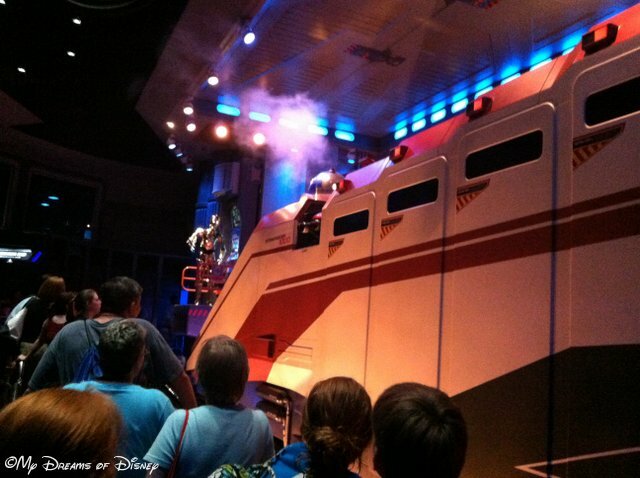 What really did this for me I think is the fact that in each ride, one person from the group riding is chosen as the Rebel Spy — and on my very first ride, I was selected! When you factor in the possibility of getting one of up to 54 different settings for the attraction, (although, to me, I think I’ve only seen maybe three or four different versions) and that just makes for a great adventure! 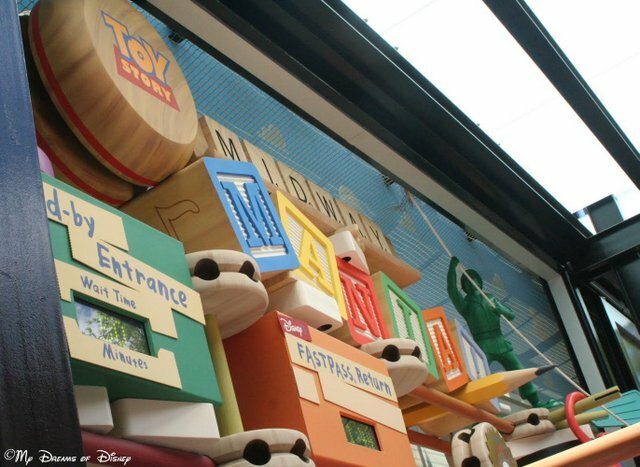 Coming in at number three on our list is Toy Story Midway Mania, that crazy, wacky, carnival games ride where you are immersed into the carnival games of Andy’s world! For me, it’s really a toss-up (pun somewhat intended) between this attraction and Star Tours as to which is number two, and which is number three on the list. About the only reason I put Toy Story at number three is because the attraction — even with a FastPass — is often quite slow to load. So, for that reason, and probably that reason alone, I have it listed at number three on our list. What are your thoughts regarding this attraction? Let us know in the comments! At number four in our countdown is The Great Movie Ride. While this attraction doesn’t have the glitz and the glamour of the high thrill ride attractions, it is truly a really neat attraction, and features distinct looks at some of the great classic movies from the 20th Century. One of the things I’ve been reading about lately, though, is the rumor that the attraction will be closing in 2018. Will this be happening, and what does that mean to you? Will you miss it, be glad to see it go, or something in between? Let us know in the comments, and thanks! 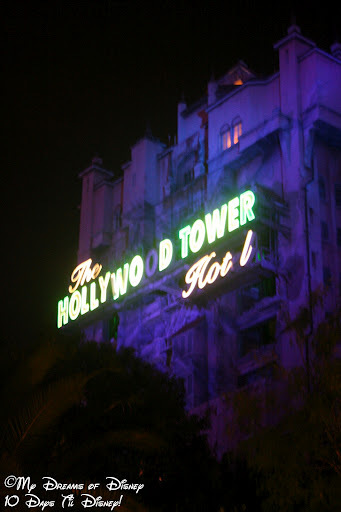 Rounding out our top five is the Twilight Zone Tower of Terror. In our previous ranking, it wasn’t in my top five, but did make the honorable mention list. This time, it’s number five. Why is that? Well, I will tell you right out that I do NOT like the drop sequences of the attraction. It is among the things I least like at Walt Disney World — and ranks up there with such horrible attractions as “It’s Tough to be a Bug” over at Animal Kingdom. But, what I do really enjoy, though, is the backstory. I also really enjoy the theming. And, I really, really do enjoy the anticipation. So, because of all of that, I have decided to include the attraction on my list, and here it is at number five. What are your thoughts on the Twilight Zone Tower of Terror? Do you like it or hate it? Let us know in the comments below! 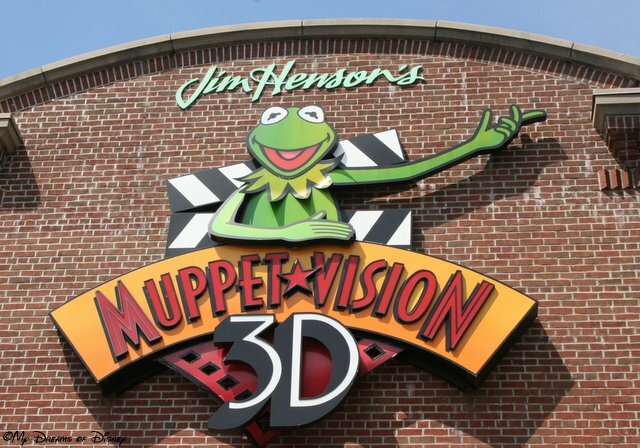 Muppet*Vision 3D was originally on our list at number four, but I’ve dropped it down to our list of Honorable Mentions this go around. The primary reason for this is simply because it just isn’t as good for me as it used to be. In days gone by, the corniness of the humor, the dated fashion, all of that “charm” that made the attraction one of my favorites, that was awesome. Now, though, I think that my brain has shifted a bit, and what I used to think of as neat and quaint and all that, well, now it just seems old and dated and run down. I’ll admit that this somewhat saddens me. Still, on any given day at Hollywood Studios, I think the attraction will be given a visit, even if it’s just to get some photos of the props and stuff at the attraction, and it’s less about the show. What are your thoughts on it? Let us know in the comments! 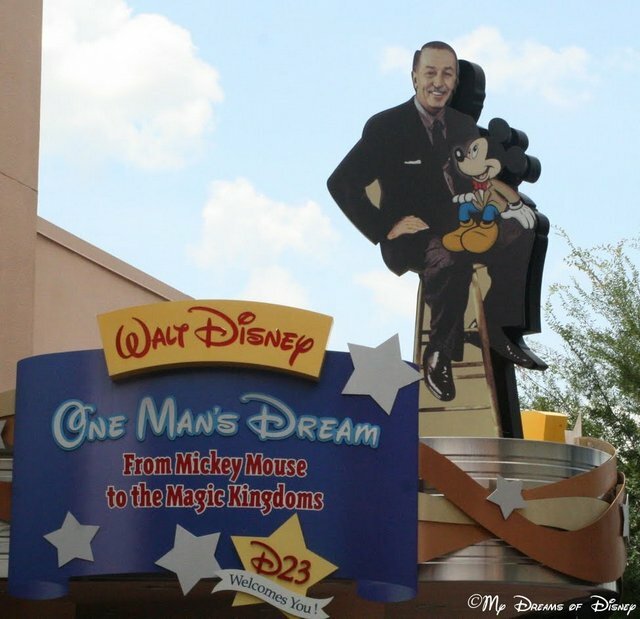 As I mentioned in my previous version of this post, One Man’s Dream is more museum than attraction, but it still holds a place in my heart. The rumors are rampant that this attraction is getting ready to close. Word is that the Archivists for Disney are heading to Florida to pack up the exhibits and take them to San Francisco, to the Walt Disney Family Museum. I don’t know if this is true or not, but it wouldn’t surprise me. Sadly, attractions like this are just not as popular as they used to be, and if it does close, it’ll be one more thing that changes Hollywood Studios from being a Theme Park and just making it like any other run of the mill Amusement Park. What are your thoughts on this? Let me know, and thanks! So, how did we do in our updated list of our favorite attractions at Disney’s Hollywood Studios? Did we hit a home run, strike out, or somewhere in between? Let us know in the comments below, and thanks for stopping by! You know, in the category of “What is the number two seed for our countdown to Disneyland?” I never thought I would be writing Fantasmic on the list. It boggles my mind that I have done so. 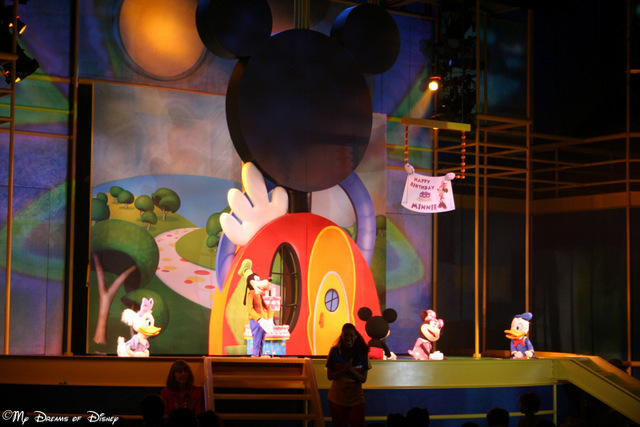 The truth is, I’ve never even seen Fantasmic at Disney’s Hollywood Studios! So why did I put it at number two on our list? I think that this selection is more of a case of putting the popular show here because, like in the NCAA Tournament, the number two seed almost always wins, and I have heard a lot about Fantasmic that makes me think we will watch it during our trip to Disneyland. I know I’ve seen at least one comment on the internet that reported that Fantasmic is actually better at Disneyland then it is at Hollywood Studios. Part of the reason we’ve never done it at DHS is because the lines are absolutely insane to try and get a seat for. I’ve heard that Fantasmic is better here than at Hollywood Studios — what do you all think? Please let me know in the comments, and thanks! By Mike Ellis. Hello everyone, and welcome to Tiggerific Tuesday Trivia, the weekly series that brings Disney Trivia into your computer screen! 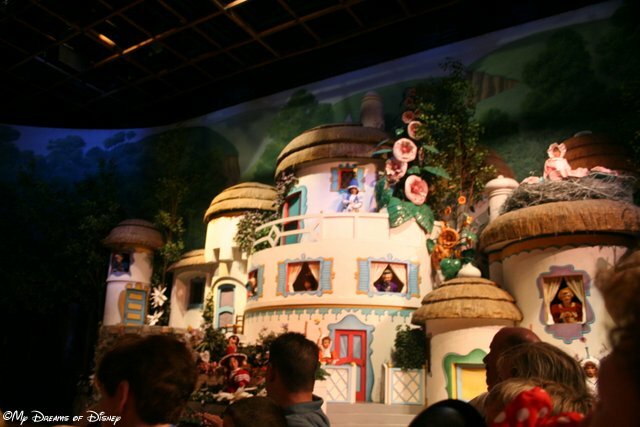 Along with Jenn from Disney Babies Blog, Heidi from Heidi’s Head, and Jodi from Magical Mouse Schoolhouse, I’m Mike here to share with you a bit of Disneyland Trivia! I had no idea! My family has never seen Fantasmic, and I know we are missing out, so we’ll correct that this summer, but I would have almost bet money that it debuted at Disney’s Hollywood Studios first! Maybe we’ll see it in both parks and decide which is the best! 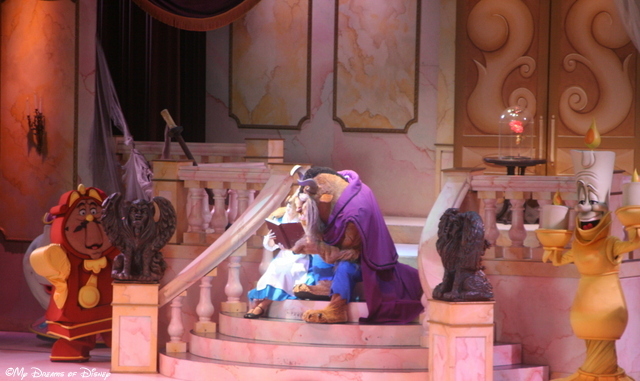 So tell me, where is your vote for best Fantasmic!, if there is one: Disneyland or Disney’s Hollywood Studios? Let me know in the comments, and thanks for stopping by! Now, please click on the links to see the rest of the great entries! 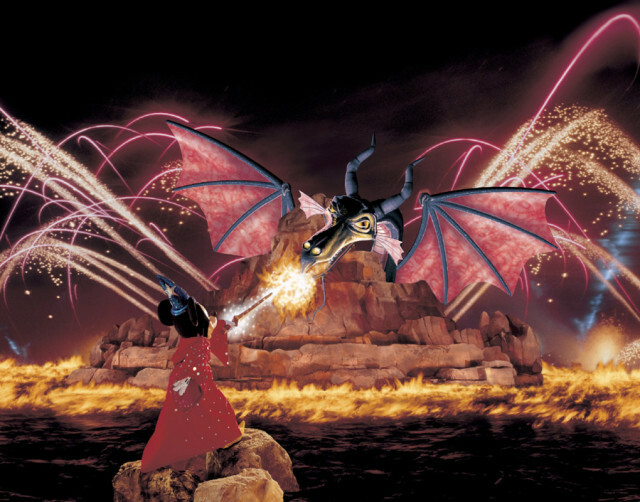 While you are at it, click on over and read Tanya’s great post about Fantasmic!